I don’t expect the names on this list will really shock anyone, as many of them are familiar, but here are the five I love to visit, and why (in order that I visited them): MoMA: The ‘Museum of Modern Art’, as the name suggests, does not have Rubens gracing the walls, but it does have floors and floors of the best paintings, photography, sculpture, drawings, furniture, film and design. You will see Picasso’s Les Demoiselles d’Avignon, Van Gogh’s The Starry Night, Rousseau’s The Sleeping Gypsy, and Dorothea Lange’s Migrant Mother, to name a few. For me, it was hard to leave the room with the giant ‘mural’ of Monet’s Water Lilies — the colours were beautiful. 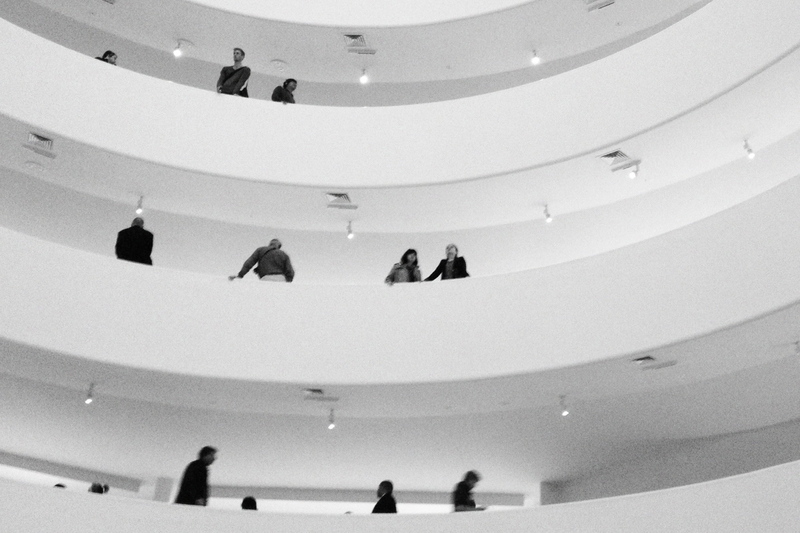 The Guggenheim: The day I went was a special exhibition of Picasso’s black and white paintings, which was impressive as you might expect. There are also smaller side galleries with pieces on display. If you aren’t into art, but your travelling partner is, just go to see the Frank Lloyd Wright designed building. The continuous spiral is not to be missed, not standing on the inside, watching the people move like ants and hypnotise you. 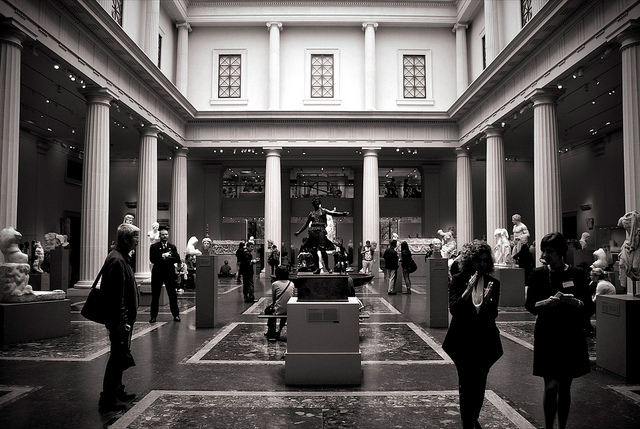 The Met: ‘The Metropolitan Museum of Art’ has art, and sculpture, and mummies, and Greek statues and everything else in between. For people wanting their European Masters fill, there is plenty to enjoy here. 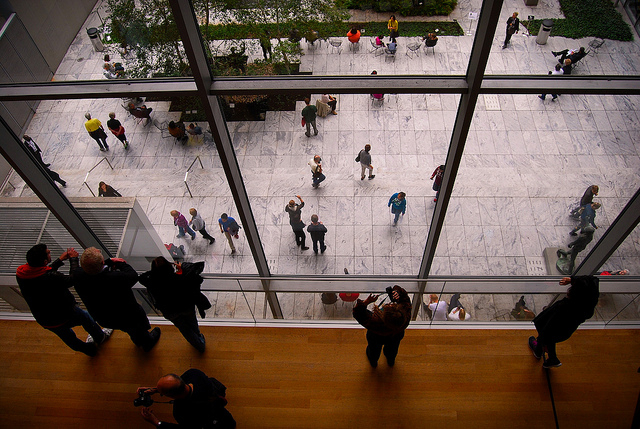 If Japanese silk screens, Indian rugs, Syrian ceramics, or Italian furniture are more your thing — the Met has that too. My favourites (aside from the Masters) is the specially built Moroccan Court, the American Mansion, and a swathe of beautiful things thanks to Louis Comfort Tiffany. American Museum of Natural History: Slightly faded and dusty, if you have time for little else, just go and see the stuffed animals in huge glass cases and feel like a little kid in a children’s book. They are magnificent. 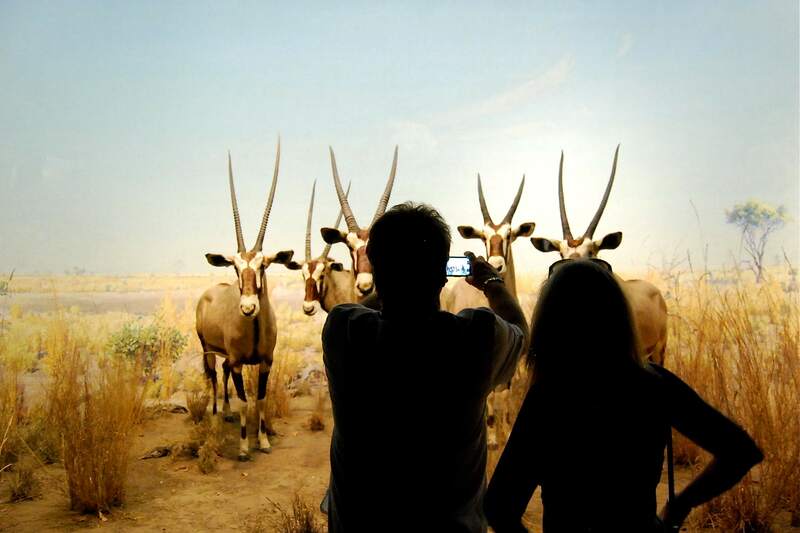 The dinosaur (bones) collection will excite paleontology lovers, and the American-Indian section is also very good. The Frick Collection: The place you might take your grandma or mum for their birthday, but where you should really go to celebrate yours. This once lived-in mansion on Park Avenue is filled with Mr Frick’s (dec) — the son of a whiskey distiller who went on to be an industrial giant — private art collection which includes Turner, Titian, Renoir, Rembrandt. Furniture is arranged as it was, rooms are much as they were when the owner sat by the fireplace and wandered the rooms. A beautiful legacy for a very interesting life once lived. Honourable mention — International Center for Photography (ICP): This little-known gallery (for tourists) has regular exhibitions of great modern photography, as well as courses and classes. Special note: All of the above have an entry price starting at ~$20 for adults, with the exception of The Met, where you actually only have to pay what you would like to donate (although they recommend $25), and ICP, which is normally an entry fee, but on Fridays from 5-8pm, you pay what you like. Also be sure to check opening hours, as each tend to take a ‘day off’ during the week.